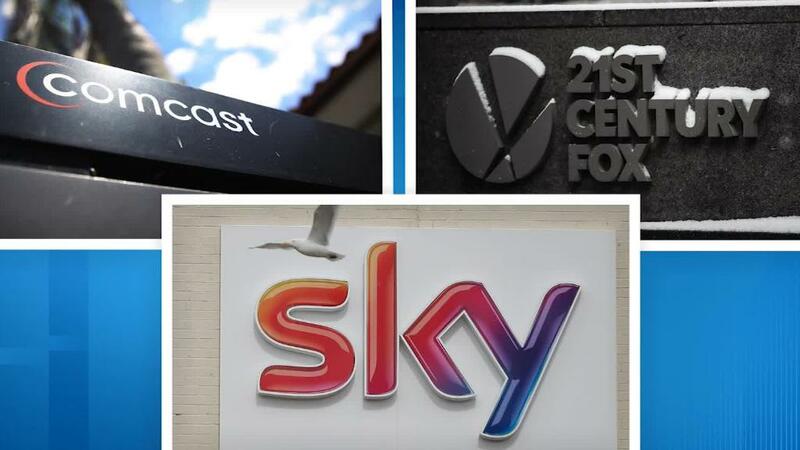 Sky's fate is likely to be decided in a one-day auction between Comcast and 21st Century Fox. The UK Takeover Panel announced Thursday it would hold an auction for the European broadcaster on Saturday if there's no resolution to the long-running takeover battle by close of business on Friday. Sky (SKYAY) has been the subject of an extended fight between Comcast and Fox (FOX) — now backed by Disney (DIS), which is in the process of acquiring most of Rupert Murdoch's entertainment assets. The biggest pay-TV broadcaster in Europe and its 23 million subscribers are attractive assets to US media companies that want to expand overseas and bolster their defenses against an onslaught from Netflix (NFLX) and Amazon (AMZN). Comcast (CMCSA) is the current higher bidder for Sky, having offered £14.75 ($19.30) per share — or about $34 billion in total — in July. That compares to Fox's offer of £14 ($18.30) per share for the 61% of Sky it doesn't already own. It's rare for a UK takeover to be decided by auction but the process is designed to produce final bids from each suitor that can then be evaluated by shareholders. The regulator said the auction would consist of up to three rounds. The lower bidder -— currently Fox — would be able to bid during the first round, and Comcast would counter in the second. Both hopefuls would be able to bid in the third and final round. None of the companies involved responded to requests for comment. The auction would bring a dramatic end to a turbulent chapter for the media industry, which saw Comcast lose out to Disney for most of Fox's business in a contest that appeared to be personal for Comcast CEO Brian Roberts and Disney CEO Bob Iger. -- Hadas Gold and Ivana Kottasova contributed to this article.